College admissions consultants can often help students gain admission to highly selective colleges. And Jeffrey Brenzel, the outgoing Dean of Admissions at Yale, knows this very well. 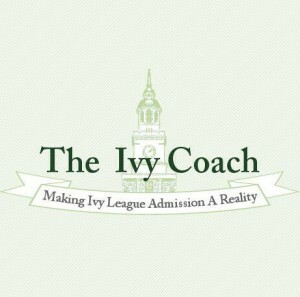 There was a great piece written by Lynn O’Shaughnessy about college admissions consultants and how highly selective universities like to deny their effectiveness as a group. Are there college admissions consultants who aren’t effective? You bet. Just like in any industry, you’ve got good companies and you’ve got bad companies. Some college consultants have an actual expertise and track record for helping their students gain admission to highly selective colleges and others, well, just don’t. It’s that simple. But it’s ironic that deans of admission at highly selective colleges have a habit of not acknowledging that college admissions consultants can help students gain admission. And why would they? Why would they acknowledge that the system they partake in, one they work at each and every day, is a system that students can do better in with strategic, expert help? It just wouldn’t make sense for them to do so. It would be a blow to their egos. Here they are trying to put forward to the world that they are doing excellent work, trying to find the best and brightest, the most diverse students for their incoming class. Wouldn’t it be embarrassing for them to acknowledge that college admissions consultants can help students win in the system they work to foster? You bet. It’s particularly ironic that these very deans of admission, as Ms. O’Shaughnessy points out, contribute greatly to making the highly selective college admissions process more stressful and more competitive. After all, they’re the ones who send out brochures to students (essentially recruiting them to apply) even if they know full well these students have no shot of ever getting in. Ms. O’Shaughnessy even quotes Yale’s Dean of Admission Jeffrey Brenzel: “I believe that most of the funds expended on independent counselors are simply wasted. We do not believe they have much, if any, effect on who we accept.” Uh huh. Do you really think he actually believes that? Not a chance. Mr. Brenzel recently stepped down as Dean of Admission. It wouldn’t come as a great surprise to us if he, too, became a private college admissions consultant. It would be no great surprise at all — no matter what he says he’s going to do professionally after his tenure.